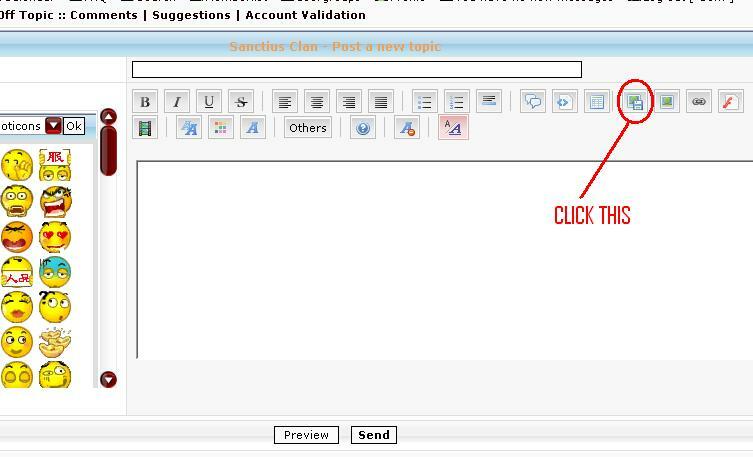 If you are registered in our forums, you automatically get an account with www.servimg.com for free! SERVIMG is a free picture host exclusively for registered users of this site. This would make posting pictures more efficient and hassle-free. How to UPLOAD Your PICTURES using servimg! 1. On composing a new post/messagelook for the "HOST an IMAGE" icon. 2. When the SERVIMG mini window popped up, click on BROWSE to select the image you wish to upload and click HOST IT to start upload the picture. 3. When the result page is on, Click on the 2nd COPY button and click on the Host An Image again to remove the mini window. PASTE it on your message box. 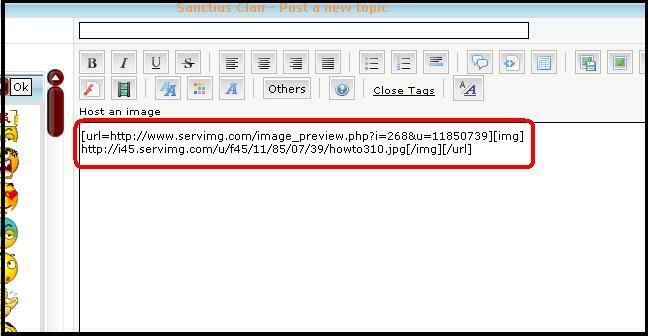 You can upload another picture, just click on the UPLOAD LINK found on your SERVIMG mini window to repeat the process. Guys, this is plain and very simple so if you have questions, please hesitate to ask! Also, you can only host JPEG files. Screenshots are usually in bitmap formats. Open it with MS Paint, press File, Press Save As..., click the drop down box for file formats, choose JPEG, and you're ready to go.